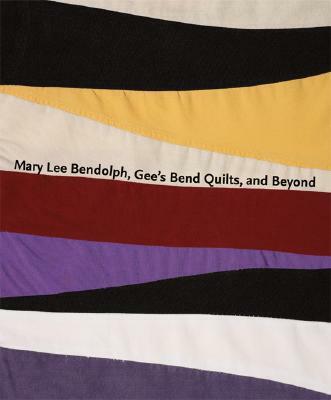 Mary Lee Bendolph’s extraordinary patchworks garnered national attention when they were featured among the works of other quiltmakers from her tiny, predominately African American community in the 2002 blockbuster exhibition and book, The Quilts of Gee’s Bend. This beautiful book examines Bendolph’s inspiration, creative process, and individual genius, as well as her profound connection to the cultural practices and expressive traditions out of which her work arises. It studies her artistic relationships with other artists—her mother, Aolar Mosely; her daughter, Essie Bendolph Pettway; her daughter-in-law Louisiana P. Bendolph; and two self-taught Alabama artists, Lonnie Holley and Thornton Dial. Bendolph’s conception of herself as an artist is intimately connected to all of these aesthetic relationships, which together provide contexts for understanding the full scope and power of her work. As they intersect in Bendolph’s life and art, these deep social and aesthetic networks give rise to new pathways of artistic influence and exchange, to a body of work that is a powerful mixture of communal and individual creative energies.